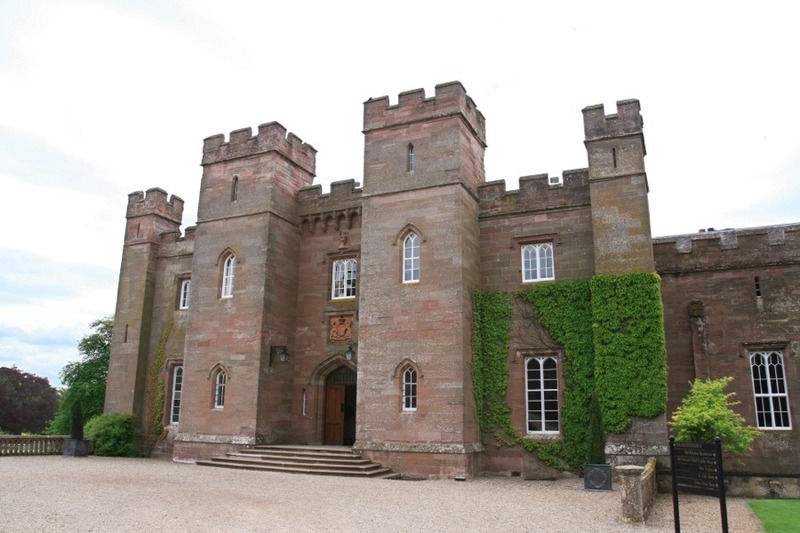 Scone Palace is an early 19th century mansion incorporating a 16th century Bishop’s Palace. 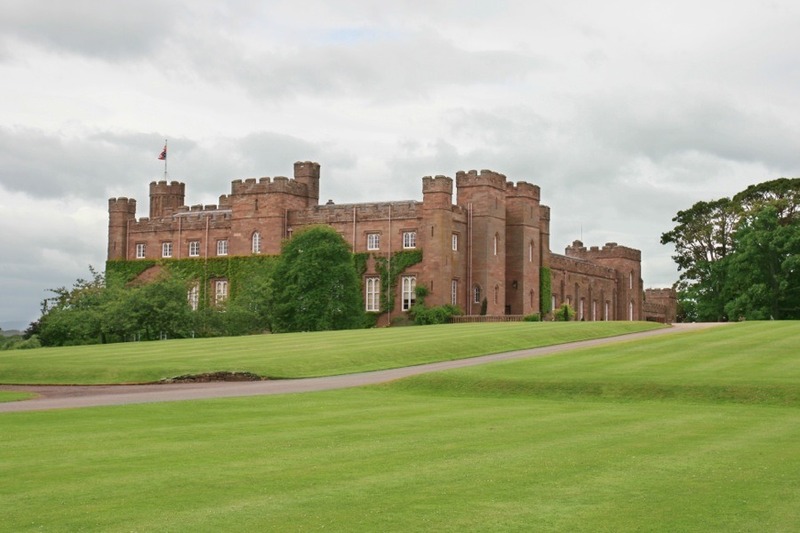 The area around Scone Palace has a long and important history, as it was a major Pictish centre for hundreds of years, and from the 9th century was where Scottish kings were crowned and resided (until the later Middle Ages). Being so important, there would almost certainly have been a castle or fortified building on the site. The first sheriff of Scone is Malothen (also known as Máel Suthain or Maol Suthain) and is mentioned in a charter dating to the first half of the 1130s. Throughout the reigns of the 12th century kings of Scotland Scone was the main royal residence, and so there would have been a secure and defensible palace. 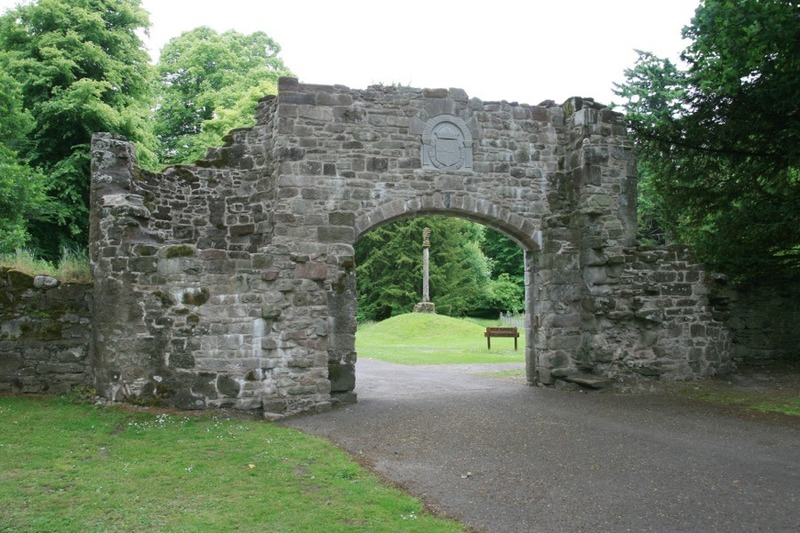 Scone was also an important religious site, and a priory was founded here in 1120 by Alexander I, later becoming an abbey in 1163. 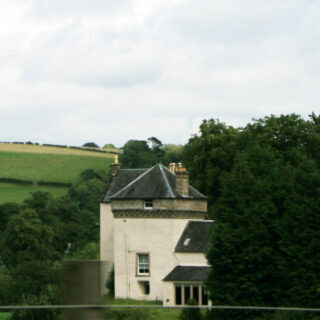 The Prior and later Abbot of Scone would have lived in a grand building, and in common with other similar sites across Scotland, this would likely have been a castle fortified house known as the Bishop’s Palace. Little is known about what exact form the Bishop’s Palace took, but it is known to have been surrounded by a wall together with the Abbey. In 1559 the Palace was destroyed, along with the Abbey, by a mob from Dundee – an early casualty of the Reformation. 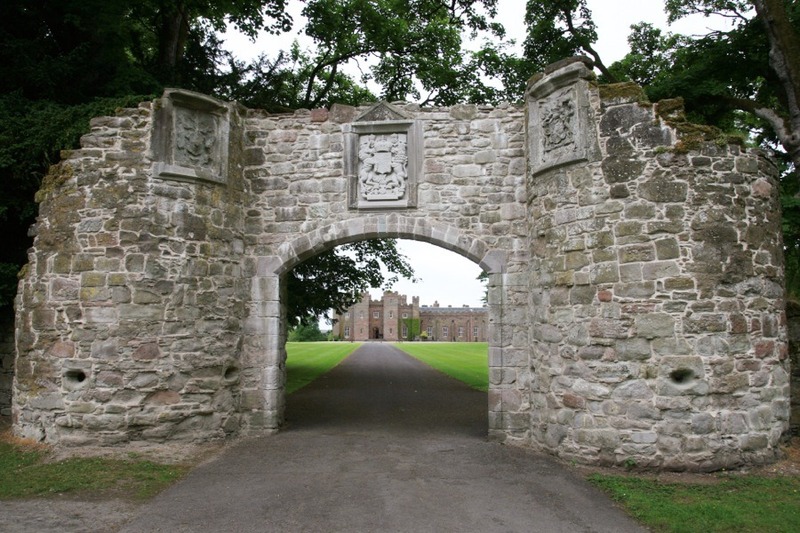 In 1580 Scone was granted to William Ruthven, 4th Lord Ruthven (and later the 1st Earl of Gowrie), and around 1581 work began on rebuilding the Bishop’s Palace as a grand mansion. Ruthven may have been responsible for building the magnificent Long Gallery in the east side of the Palace. At 45m long it is reputed to be the longest room in Scotland, and the present floor is said to be original 16th century parquetry. 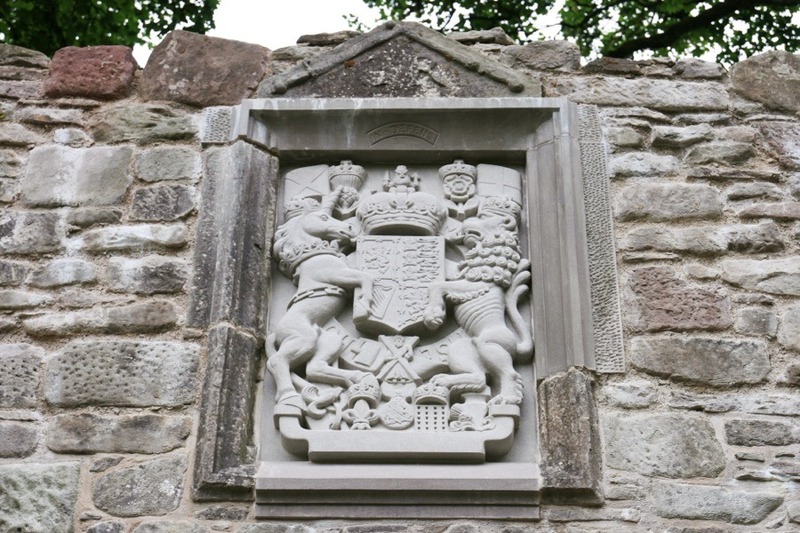 However Lord Ruthven was executed for treason in 1584, and he was succeeded firstly by his first son James Ruthven, 2nd Earl of Gowrie, and in turn by his second son, John Ruthven, 3rd Earl of Gowrie. In 1600 the 3rd Earl was killed during what became known as the Gowrie Conspiracy, the name of Ruthven was proscribed, and their lands were forfeited. Scone was given to Sir David Murray of Gospetrie, son of Sir Andrew Murray of Balvaird, by James VI as a reward for saving him from the Earl of Gowrie’s attack. Murray accompanied James VI to England in 1603, and was created Lord Scone in 1605. Around this time Murray built a house on a U-plan, arranged around three sides of a courtyard. 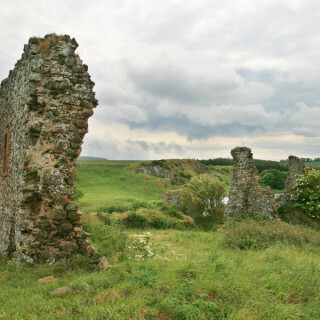 It may be that it incorporated Lord Ruthven’s earlier house, although this is unclear. Small parts of this early 17th century palace still exist – a dormer pediment is inside the Stormont mausoleum, and a piece of carved stone at the foot of the mercat cross is though to possibly have come from the palace. In 1621 Murray was created the 1st Viscount Stormont, and he possibly set about improving and extending the palace to suit his new title. Thought to date to this period is the north gateway in its current form, presumably built on the site of the earlier gatehouse. A fourth side was later added to the three sided courtyard in order to enclose it, and later still the palace was doubled in length with the addition of a second set of buildings around an enclosed courtyard. 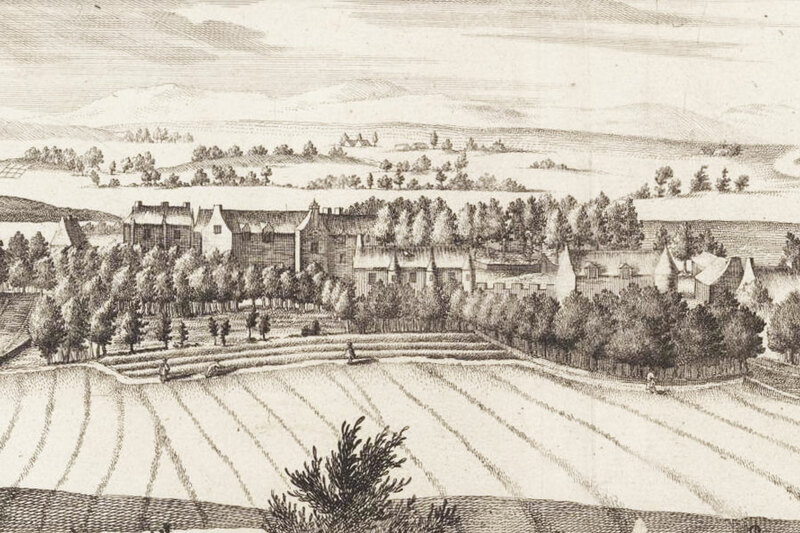 By the end of the 17th century the Palace’s footprint was similar to that of today but the look of it was quite different, as seen in John Slezer’s drawing from 1693. Also different in appearance in the drawing is the gatehouse, which is shown as a long two storey block plus attic, with a pitched roof and three round towers on the east side. 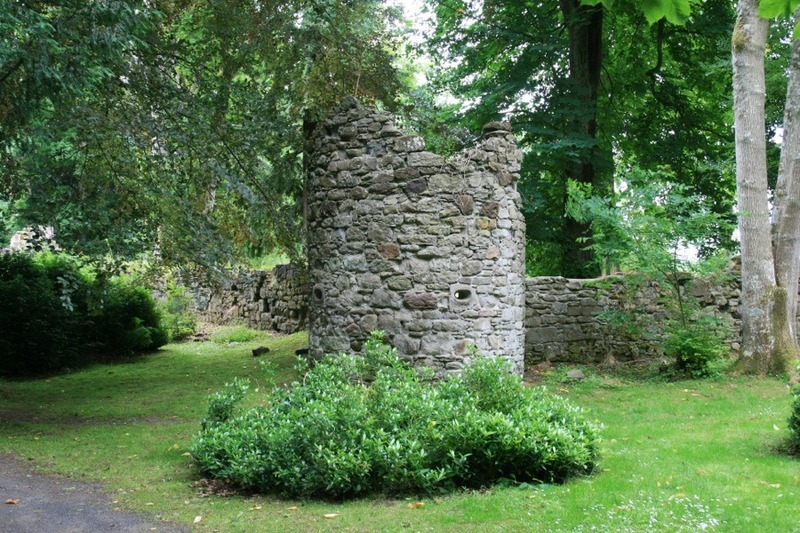 The lower storey is obscured by trees, but it’s tempting to suggest that the present gateway consists of the remains of two of these round towers. 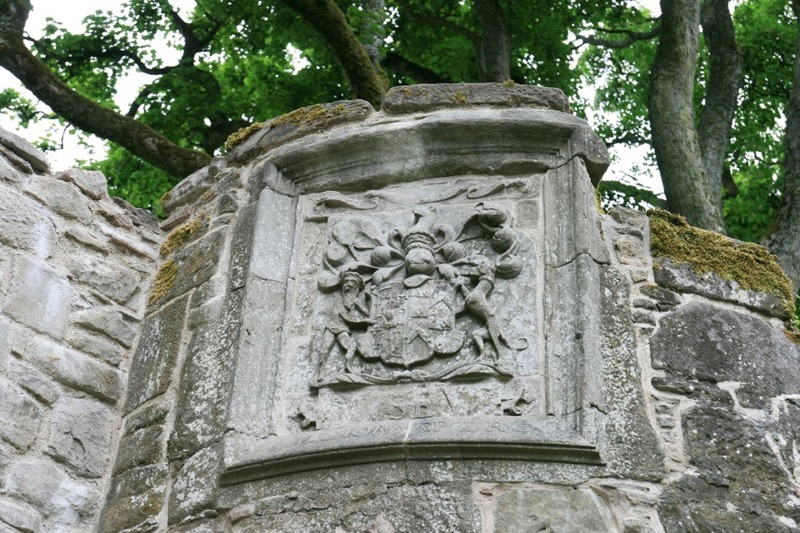 The outside of the gatehouse features three carved panels carrying the coats of arms of the Earl of Mansfield, and those of James VI. The wall continues to the north-west of the gateway and at the north-west corner is another round tower, possibly the remains of the tower shown on a building on the right side of Slezer’s drawing. 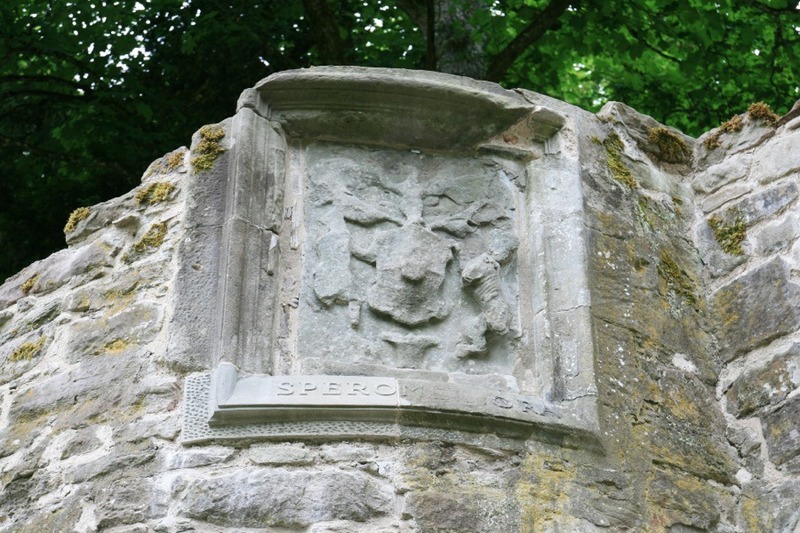 This wall probably dates back to the 17th century, although it may have been rebuilt later. 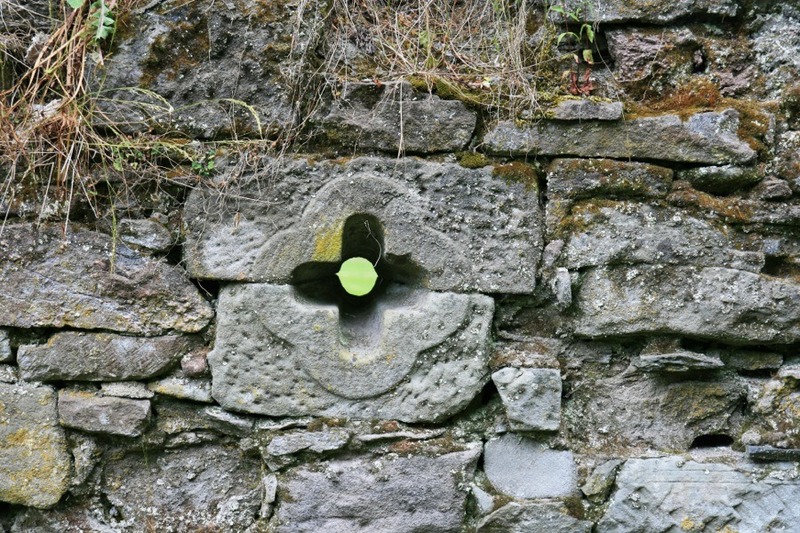 It contains shot holes, some of which look like they may actually be reused architectural fragments from the Abbey. Over the following decades the Murrays grew in power and influence and in 1776 William Murray, 1st Baron Mansfield, was created the 1st Earl of Mansfield. During these years the Palace also grew and changed. Between 1778 and 1783 work was carried out under the Edinburgh architect George Paterson so that the Palace matched the family’s elevated social status. At the beginning of the 19th century David Murray, the 3rd Earl of Mansfield, transformed the Palace, at a cost of £60,000, into the magnificent castellated Regency Gothic form it takes today. He commissioned the English architect William Atkinson, with work starting in 1803 and finishing in 1812. Three storey square towers flank the entrance. 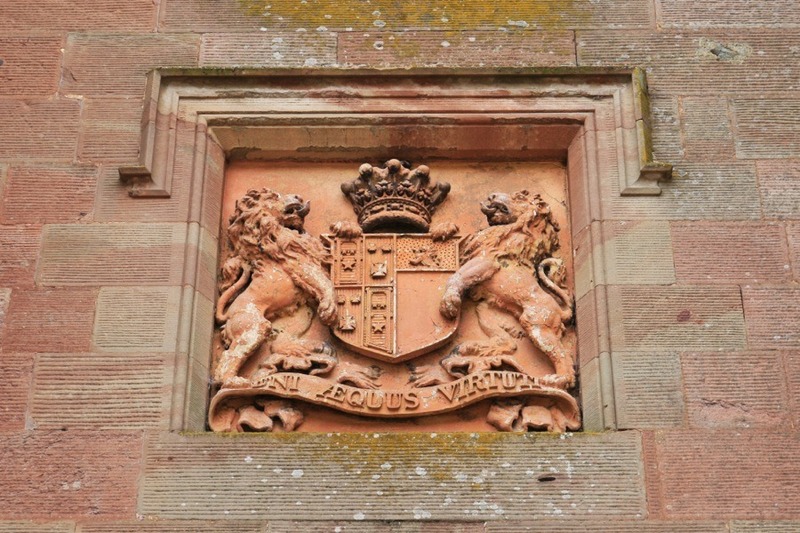 Above the arched doorway is a carved panel carrying the arms of the Earl of Mansfield including the motto “Uni Aequus Virtuti” which translates as “Friendly in virtue alone”. From the 1920s onwards Scone Palace wasn’t occupied by the family. At the outbreak of the Second World War Craigmount School, a girls’ boarding school in Edinburgh, moved to the Place and remained there until 1952, after which the family returned. 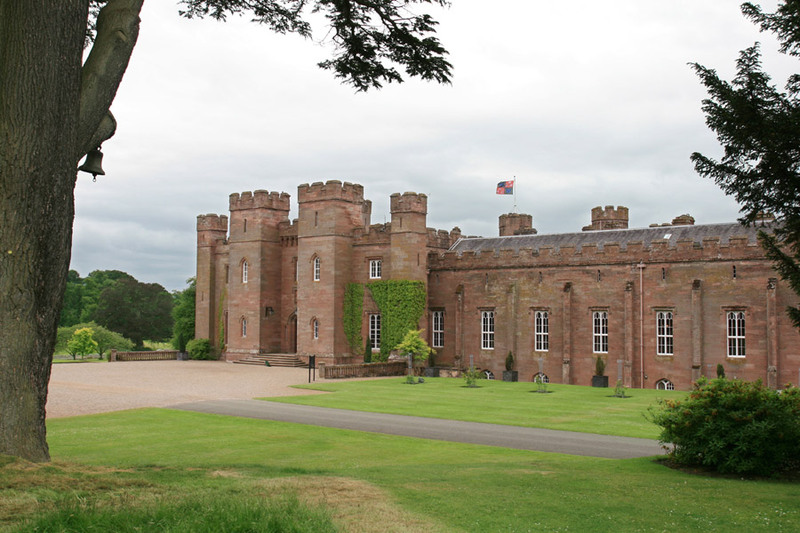 Today Scone Palace serves as the home of the Earl of Mansfield, and is also opened to the public every year. Scone Palace is in the parish of Scone and the county of Perthshire. Published on the 1st of July 2013 at 10:53 pm. Updated on the 2nd of May 2016 at 7:21 pm.